The Richard Richards Foundation is dedicated to promoting excellence and identifying and sharing best practices in education, business and public service. We encourage dialogue between business and government leaders; sponsor conferences and public events to foster international trade and investment; and support education and research. Richard Richards (1932-2015) was a native of Ogden, Utah. His interest and devotion to politics began as a young man, having been elected Chairman of Weber County Junior Republicans at the age of nineteen. For the next 40 years, Richards devoted much of his life to building the Republican Party at the state and national level, after which he spent the rest of his career in international business. Richards served three terms as Chairman of the Utah Republican Party. With the endorsement of Ronald Reagan, he served as Chairman of the Republican National Committee for one term. 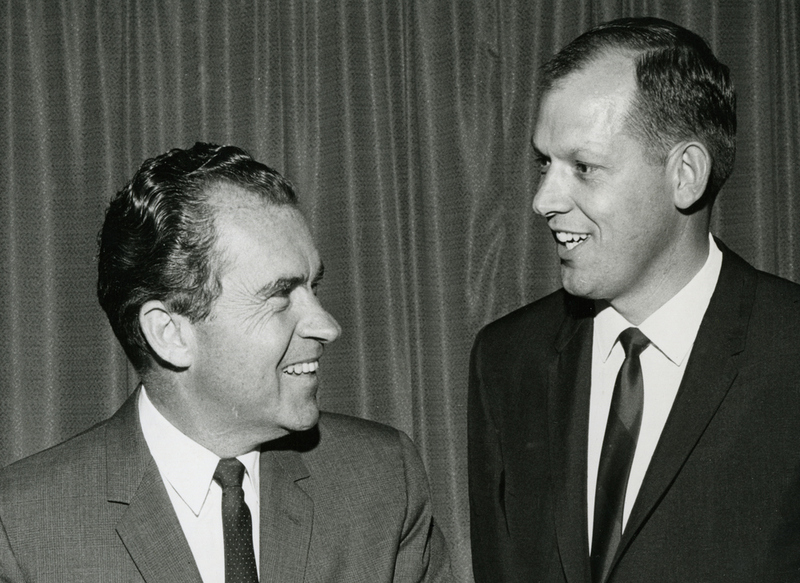 In addition to these distinguished positions, Richards worked extensively to build the Republican Party for over forty years and was intimately involved in the presidential campaigns of Richard Nixon, Ronald Reagan and George H.W. Bush. In 1983, Richard Richards opened a new chapter in his professional life by turning to business. He began a legal and advisory practice in Washington, D.C., where he focused on international trade and investment that spanned the Americas, Asia, Europe and the Middle East. He advocated for a fair and level playing field in international trade, believing sincerely that free trade boosts economic growth and employment. His practice was marked by his advocacy on behalf of educational, aviation and energy interests. Richards traveled the world extensively on behalf of his clients, and distinguished himself by adhering to a standard of excellence in service, integrity and results. In 2007 Richards cemented his lifelong commitment to education by establishing the Richard Richards Institute of Ethics at his alma mater, Weber State University. He labored his entire career to bring a commitment to ethical behavior into the worlds of politics and business, and was pleased to leave a legacy that would continue his efforts. Richard Richards and Annette Bott married in 1954 and have five children. He earned his law degree from the University of Utah in 1961, after serving as a Second Lieutenant in the U.S. Army.